Crispy Fried Chicken Golden Brown With Spicy Tang Better Than Mom's! Crispy Fried Chicken Golden Brown With Spicy Tang Better Than Mom’s! Crispy fried chicken cooks to a golden brown. The meat inside of the crust is moist and tender with a pleasant spicy tang. This is better than your mom’s fried chicken. Mamma made the best fried chicken! Every time we came to visit them in Iowa, she would treat us to her delicious crispy fried chicken. She would fillet the whole bird, save the bones for broth, then salt and pepper each piece. Her crispy coating for the chicken was flour, egg wash, and cracker meal. Cracker meal is finely crushed up crackers. I’ve seen it in the grocery stores but mamma bought hers from the local cookie/cracker factory where she worked. 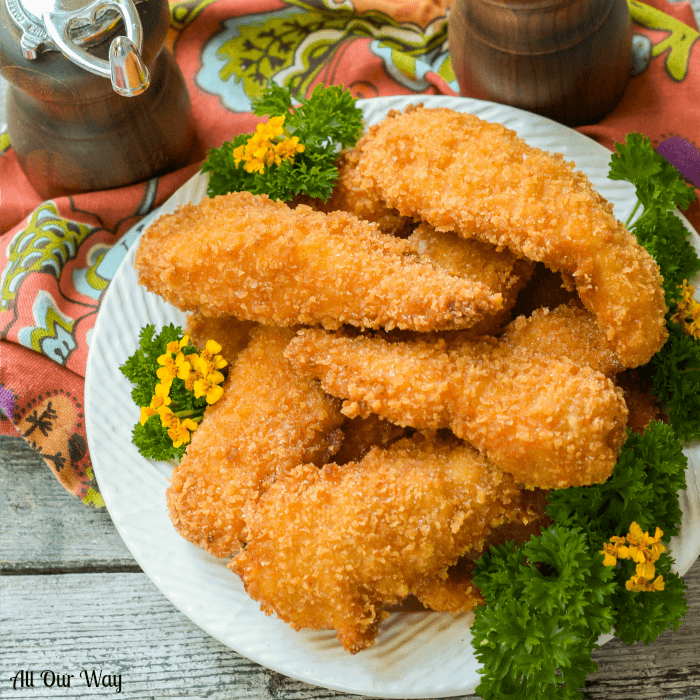 For many years we made our fried chicken just like mamma. Then came the day we discovered Panko crumbs. That was the day we forgot about the cracker meal and went on to better and crunchier coatings. 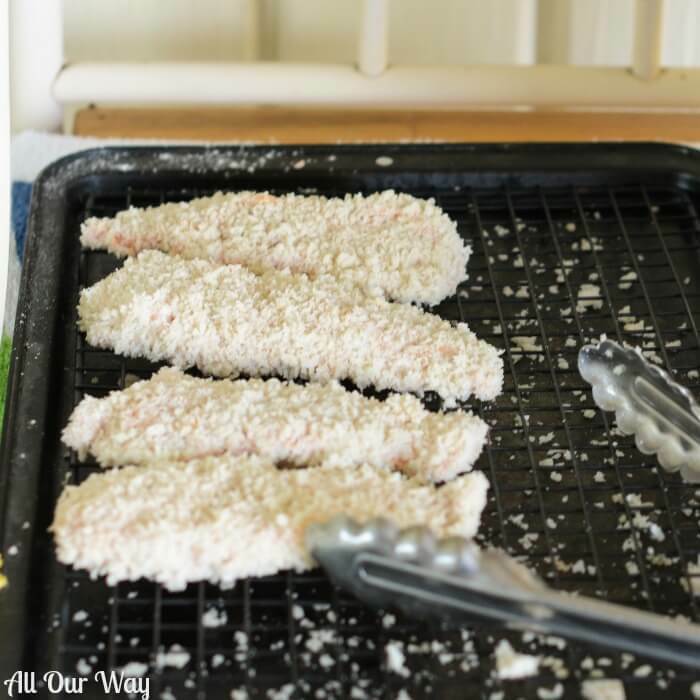 We decided to fry some fish fillets and we couldn’t believe how crunchy the crumbs were. We believe this is the perfect formula: flour, buttermilk instead of egg wash, and Panko crumbs. dip in flour and shake off excess. bathe in buttermilk and let excess drip off. roll in Panko crumbs and gently press the crumbs into the piece to be fried. place in the fridge to set the crumbs. This time we planned to prepare and fry our chicken just like we always did, but Honey was feeling adventuresome. He decided to try something different with the thawed chicken tenders. Our secret addition — Frank’s Red Hot Original!! He coated each chicken piece with Frank’s, covered the plate with plastic wrap, and set the chicken to marinate in the refrigerator 2 to 3 hours. Turn the pieces occasionally. And 30 minutes or so before frying time, we took the chicken out of the fridge and proceeded with the flour, buttermilk, Panko routine. We put the chicken on a wire rack over a baking tray and set it back in the fridge. It’s important to keep the breaded pieces in the refrigerator for about 15 to 30 minutes. This sets the coating and seals the pieces so that they stay moist and flavorful but don’t absorb the oil. You heat the oil to 340 F. in a Dutch Oven or fryer. Add a few pieces of chicken at a time. You don’t want to overcrowd. In a deep fryer, you don’t have to turn the pieces to get them evenly brown but you may have to in a Dutch oven or deep pan. Fry until the pieces reach that beautiful golden brown. Place them on a wire rack over a tray. Salt and pepper the pieces then place them in a 180 F. oven to keep warm. Fry the rest of the pieces in batches until they’re all done. Enjoy your better than mom’s Crunchy Fried Chicken. 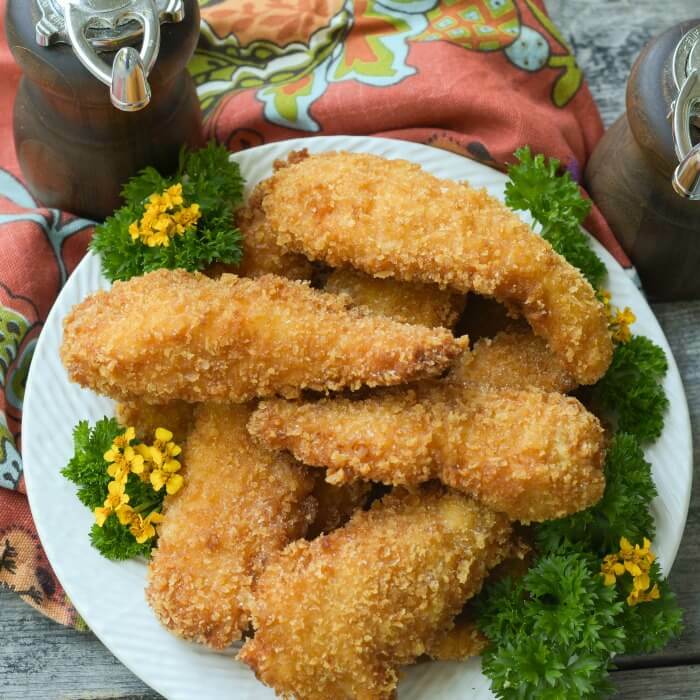 Crispy Fried Chicken cooks to a golden brown while the meat inside is moist and tender with a spicy tang. This is better than your mom's chicken. 2 lb Boned and skinned chicken pieces -- as many as you want. 1/2 cup Frank's RedHot Sauce original for marinade. 2 -3 cups all-purpose flour in a plastic bag for 1 first coating. 2 cup cupsButtermilk for dipping - amount as needed. 3 cup or more cups Panko crumbs for coating amount as needed. 1/2 cup Peanut oil for deep frying. Brush Franks on all the chicken pieces. Make sure they are well-coated. Cover the chicken with plastic wrap and let it marinate in the refrigerator 1 to 2 hours. Remove the chicken and drop the pieces into the flour bag. Shake the bag so that the piece are coated but shake off the excess. Coat the floured pieces with the buttermilk, let excess buttermilk drip off before placing them in the Panko crumbs. Firmly press the Panko crumbs onto the pieces so that they are well-covered. 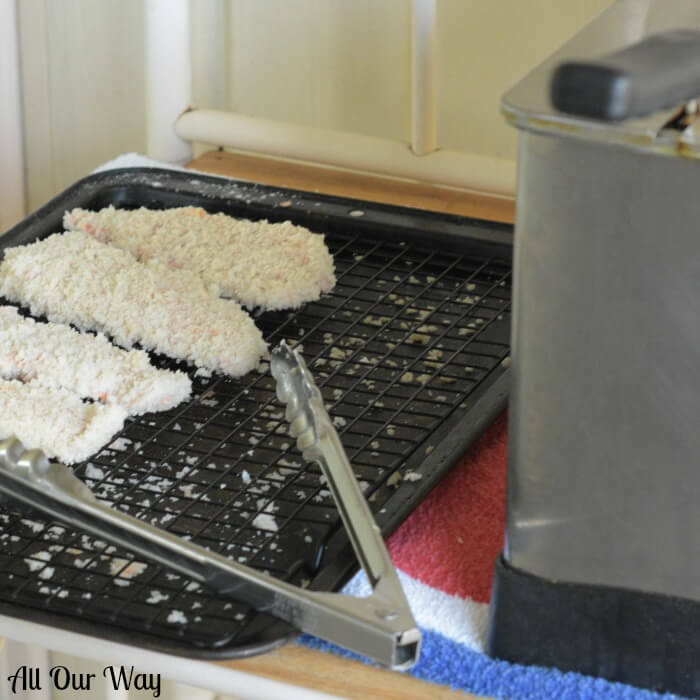 Place the breaded pieces on a cooling rack inside the tray. Continue to do this until all the pieces are done. Put the tray in the refrigerator as you prepare the oil for frying. Once the oil reaches the proper temperature of 340 F. Using tongs add several pieces into the fryer basket or Dutch oven. 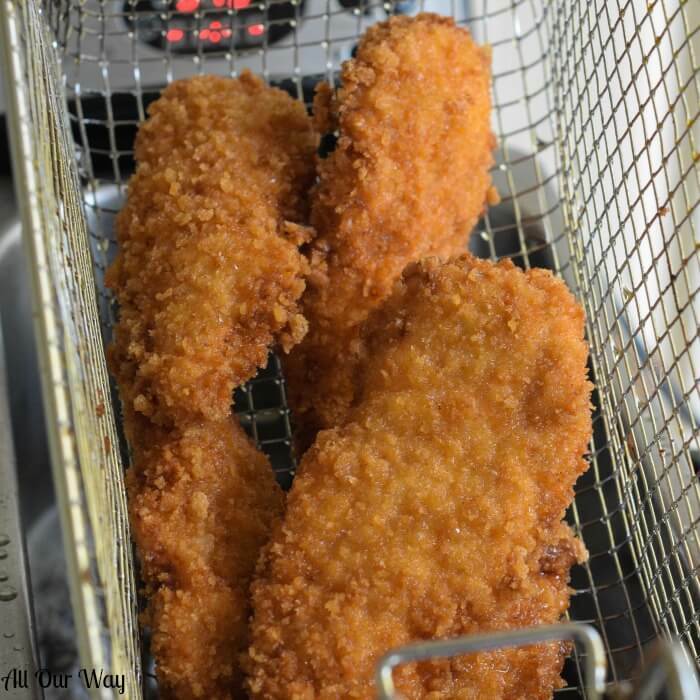 In the deep fryer you won't have to turn the chicken pieces but you may have to in the pan. If you think the chicken is browning too fast, turn down the heat a little. Remove the pieces from the oil and place them on a cooling rack. Put the tray with the chicken in a 180 F. oven to keep warm as you finish the rest of the batches. Be prepared to eat some delicious crispy chicken. You're frying/cooking time will depend on how many pieces of chicken you have to fry. You may have to thin the buttermilk with a little water + additional buttermilk if you're making a lot of chicken. Note: Recipes and content from © 2017 are copyright protected. Please do not use content or recipe without prior written permission. If you want to share the information please link to the post. Grazie. These look so crispy and delicious and I had no idea to move the chicken to the refrigerator to set the panco breadcrumbs! Spicy and crispy.. that equal PERFECT chicken! Marisa, your chicken looks beautiful and crispy…and I love the addition of the hot sauce for the bit of tang. My family would absolutely love this! The golden color looks so inviting! It took me only a second to realize how crunchy this chicken is, perfect. These look so delicious, my family would love them! I have to admit I have never deep fried anything and have no idea how to, so your instructions were helpful. I am wondering how this recipe would turn out if I baked them in the oven? Not quite the same, I’m sure! I love how these are marinaded in Frank’s red hot! That’ll definitely give a kick to the chicken. I really want a fryer at home because look at the crispiness on that chicken! I love fried chicken but I can’t remember when was the last time I had fried chicken. This looks so good. Love how golden the color is. Saving for later – I definitely want to make this soon. The color of this chicken is fabulous! I just love crispy fried chicken and so does the whole family! 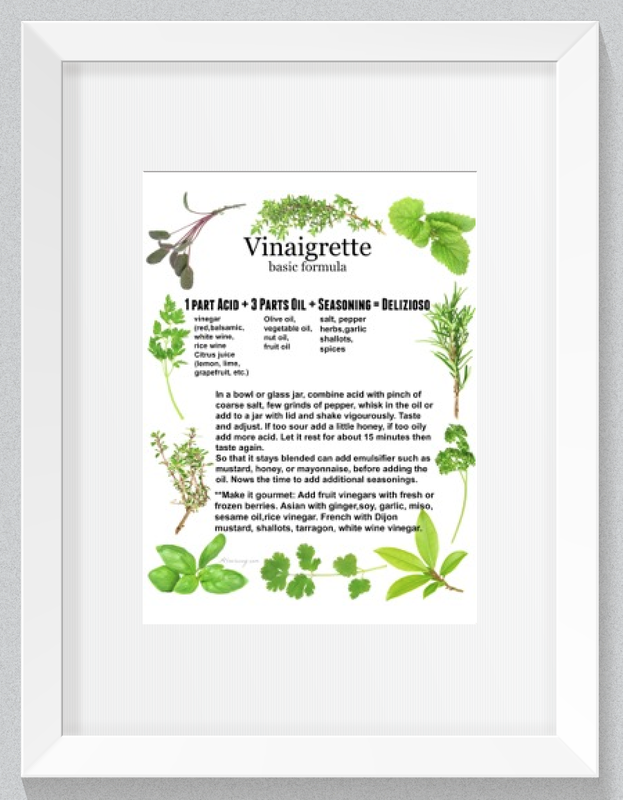 My husband will go crazy over this when I make it for him! Thanks Marisa! Fried chicken is so good. Homemade is best…and this looks totally delicious. I know I would have no problem eating a couple of pieces at dinner….and would want more. Nothing beats crispy chicken. You’ve reminded me of something, Gloria. We haven’t had fried chicken in a while, I’m in the mood. Happy Valentine’s Day. My husband and I started eating healthier a couple months ago so what do I do… torture myself by looking at fried food recipes! Lol. This sounds delicious. I may have try it out in my air fryer for a cheat meal! Hi, Jamie! Hubby and I just treat ourselves to fried foods — it makes it extra special. Let me know how it works out with the air fryer. Fried chicken is my favorite thing, but I’m always worried it’ll be undercooked! The panko is a great update to this classic. Thank you, Ashley! It is good and you might get an insta-read thermometer. They are great and we use it when we’re unsure. You’re welcome, Lori! When it tastes good we love to share. Panko crusted chicken is my favorite way to bread it! So crispy without being super greasy. You are so right, Renee. We gave up breadcrumbs a long time ago and stuck with Panko breadcrumbs. Three words : THIS IS HAPPENING!! Pinned! I am a sucker for fried chicken like this! That golden brown color! The crunch from the panko! YUM! I don’t think you could go wrong with this! Thank you, Erin! It is a great coating! We’ve used it on fish and green tomatoes. Absolutely delicious on everything. I agree with you this is really crispy chicken love it. My son is chicken nuggets fan. I will make this for him. Your recipe is really easy and great he will love it I am sure. This fried chicken looks perfect! It’s tough it get the perfect flavor and crunch without the chicken being greasy. Looks like this is a great combination, though. Hi, Kimberly! It’s not greasy at all — it still tastes great the following day. The coating on that chicken looks perfect! My oldest loves things with a kick in the flavor so he’d really appreciate the Frank’s being in there. I’m sure your version is better than mama’s but MAN I loved reading about how she made her fried chicken and how she fed so many people with 1 bird! Those were the good ole’ days! You’re version looks and sounds divine though!! I’ll be checking this out! Hi, Amanda! Yes, indeed! Our parents and grandparents could sure stretch a meal. Frankly, I don’t know how they did it. You never go wrong with yummy crispy fried chicken and even better if you add a fresh salad and dipping sauces. Just a lovely dish! Hi, Adriana! Thank you! We did have a salad and some wine. It was perfect. Hi, Karyl! You’ll also find that you can reuse peanut oil many times. It doesn’t get that “old” taste. It may cost more at the onset, but in the end, it is more economical and the food tastes better. Love the addition of the hot sauce. These look fantastic! I’m hungry all over again! Hi, Catherine. Marinating the chicken first in Frank’s hot sauce gives the bird a nice spicy taste. Love this recipe and the use of hot sauce and buttermilk. That is how my father in law taught me to marinate our chicken before frying. (Great minds think alike??) Great use of panko, I will be giving this a try next time. I don’t even know the last time I made fried chicken. I love using buttermilk and panko breadcrumbs too. I know my grandkids would LOVE this. Guess gramma will have to make it for them the next time we have a “sleep over” weekend. Hi, Gloria! Your grandkids will love the chicken. Our grandsons and kids really love the way we make it, thanks to my mamma for the inspiration. Marisa the color on these chicken pieces is to die for.!! I love a good color on my food. The breading mix sounds so perfect. My kids love something similar called schnitzel but not deep fried. So I make that almost once a week!! Kids favorite lol. It’s amazing how similar our foods are despite all the many cultural differences in the world. I love fried chicken, but never make it at home because I’m terrified of fryers. LOL. Needless to say, I should try your approach – it sounds so simple and safe. And Delicious! mostly because it seems delicious. Hi, Noel! Just use a Dutch oven — you don’t have to fill pot all the way up. All you need is for there to be enough oil that it covers the pieces. Deep frying goes faster and we’ve had that fryer for years. It’s cranked out a lot of fried chicken, fried fish, and fried green tomatoes. We love fried chicken, and eat it quite often! I’ve never been one of those who skipped making fried chicken because it takes too long. I love your version, and will be trying it out, because the crispier the better! Hi, Joanna! We agree — the crispier the better! 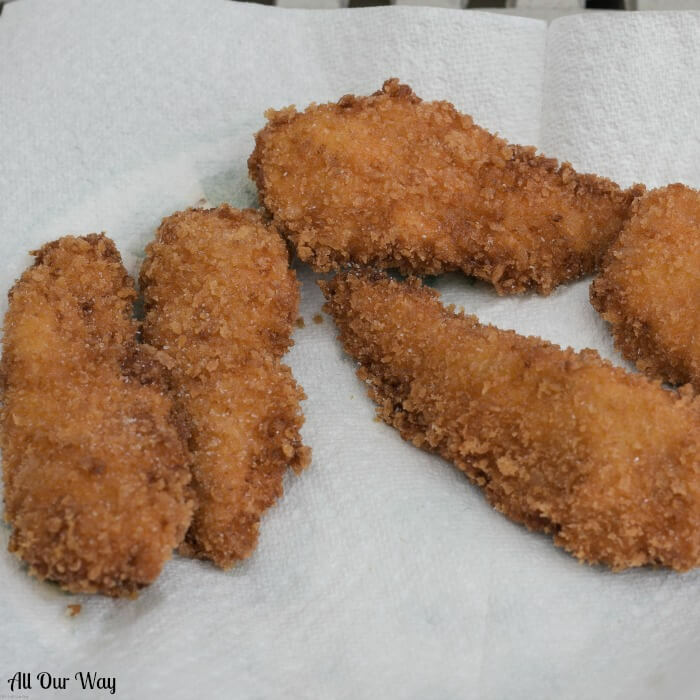 If you like fried fish, it makes a great coating for it too. Hello!! I’m happy you found our site too and thank you for your comment. I really appreciate hearing from our readers. Hope you have a wonderful day. These look delicious. My nephews love fried chicken and I am sure when they come visiting we are going to try your way! You’re welcome, Ashima! I’m certain you and your nephews will like the chicken. It’s always a hit with our grandsons. The photo of that chicken is amazing. It looks delicious. I love the clarity in your instructions for properly breading them. I also love that you’re using buttermilk instead of eggs. I can’t wait to try this. Thank you, Patti! That buttermilk really helps the Panko crumbs stick. I hope you try it out. Have a great weekend. This looks like perfection! I use Panko crumbs all of the time but I love the idea of adding a little kick using Frank’s Hot Sauce. Definitely giving this a try this weekend! Great minds, Cheryl!! Now try the Panko crumbs and fry the chicken up. YUM!! Looks amazing as usual Marisa, I love breaded chicken and I actually found Panko so I can’t wait to try it. Ciao, Rosemary! Your family will love it! The crunch is amazing! Abbracci! Beautiful breading on that chicken! Don’t you just love Panko? Have not used bread crumbs, or flour for a breaded crust, since I discovered it Will have to try this soon—-like maybe for Sunday dinner!! Does that ever look delicious. Lots good tasting additions to the breading. Bet they didn’t last long. Hi, Jovina! No, the chicken didn’t last long. The breading + Frank’s just enhances the taste of the chicken. Have a wonderful day.